Just yesterday, an Australian Court ruling lifted the ban on sales of the flagship Samsung GALAXY Tab 10.1 in that country. On December 9th, the court will decide whether or not Apple can appeal that ruling. In the meantime, Australian High Court Justice Dyson Heydon issued an order on Thursday, extending the ban on the tablet until the court meets on the 9th of the month. With the reversal, Samsung planned on offering the Samsung GALAXY Tab 10.1 tablet in Sydney starting at 4pm local time on Friday. 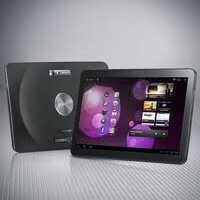 The company was then going to import the tablet to deliver to buyers while ramping up a marketing campaign. With the extension, that is put off for at least a week as Samsung bumps up against a self-imposed deadline. The company has said that if it can't sell the GALAXY Tab 10.1 in time for the holiday shopping season, it would cancel its release in the country. Tuesday's reversal essentially ended a court-ordered ban on the sale of the Samsung GALAXY Tab 10.1 that started on October 12th when the court ruled in favor of Apple. In that case, Apple sued Samsung claiming that the latter was stealing the design of the Apple iPhone and Apple iPad in producing its own models. Apple started things off with the original suit back in April and since then, the Korean based tech company has countersued claiming that Apple infringed on Samsung's FRAND patents, an exercise that has not been successful to date. If Apple successfully appeals the reversal, Samsung might consider what it did to get around a ban of the tablet in Germany. Changing the design of the GALAXY Tab 10.1, Samsung moved the metal trim closer to the front of the device and renamed the product the Samsung GALAXY Tab 10.1N. By making these changes, Samsung was allowed to sell the revised tablet in Germany since the latter manufacturer successfully showed the court that the new revision eliminates the resemblance in design between the Samsung and Apple tablets. You would think Samsung would be practice here and clean up their act. that was a harmless change and everyone wins.... extend the metal rim.... done. next. I would never consider an apple product. I read these web sites because I crave technolagy on an individual componet basis. OK so Samsung may have pushed the boundries with "looks" but it all stops there. Technolagy is not skin deep. Those that don't care what a processor is will gravatate to apple, ultra reliable and it just works. Not everyone wants a computer that works. But for those that want to llive on the edge, live dangerously, and try some cutting edge hardwhare, hear in Australia... piss off apple. You have to hand it to Australian tenacity... the judges stay bought.